Online (payments via paypal) using the Class Registration Form or by mail send money order to Sahar, PO Box 722, Capitola, CA 95010, or with cash, arrive 15 minutes early to check in (please let me know by email or phone if you plan to register in person or by mail). Emphasis is on stylization, technique, injury prevention, choreography and improvisation, musical interpretation, weaving tradition with creative expression and emotional projection in a noncompetitive environment. Previous belly dance experience of any style and/or concurrent enrollment in Sahar’s “Belly Dance in the Mountains” class is required. Please dress comfortably in stretch pants, sport bra/exercise top, light hip scarf with layers to warm up & cool down. Dance shoes are recommended. Bring finger cymbals, veil & a water bottle to each class. In this beginning Belly Dance class, emphasis is on posture, technique and gentle conditioning; basic steps, combinations and body isolations; traditional rhythms, musicality, and emotional expression in a non-competitive environment. Drop in option: if space is available, $20 per class, cash only to the instructor. If you decide to register for the entire session, the drop in fee will be returned. Please dress in comfortable layers including stretch pants or leggings, a sport bra and hip scarf; and bring a small mat or towel for floor stretches. 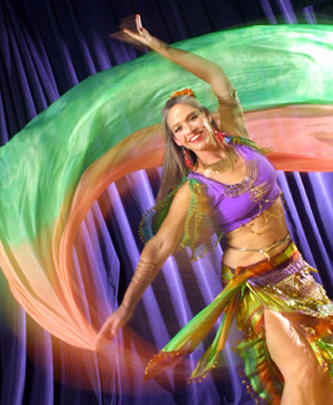 Look for “Belly Dance in the Mountains with Sahar” at http://www.lgsrecreation.org/ for information and registration. Sign up early as this class always fills up. Please forward & spread the word!